With the ERA DoorCam Smart Video Doorbell you can answer your door from anywhere in your house or garden, or anywhere in the world, using your Smartphone. You’ll get HD video of your caller via our Smartphone App and two-way audio to talk to them live. The ERA DoorCam video doorbell looks just like an ordinary doorbell, with an ultra slim design, and it’s available in Black or White to suit your front door. The doorbell camera has a 180° field of view, to see the whole or your drive and garden, and includes customisable PIR motion detector zones that will trigger recording as soon as anyone opens your gate. 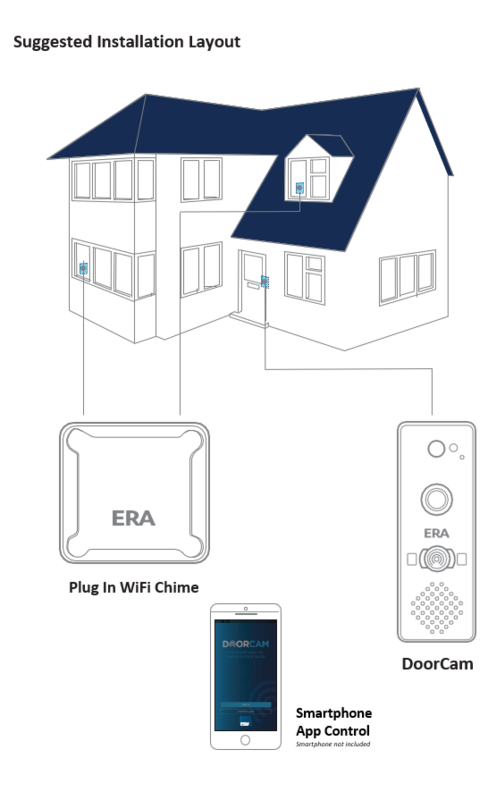 You can access crystal clear 720pHD video on demand with Live View on the ERA DoorCam App, and everything is recorded for extra security, with FREE Cloud Recording for 12 months. The compact smart video doorbell unit is IP65 rated, which means it is both dust and watertight, so nothing will get in the way of your peace of mind and security. It can also operate between -30° and +50°C, come rain or shine, so it will protect you all year round, whatever the weather. 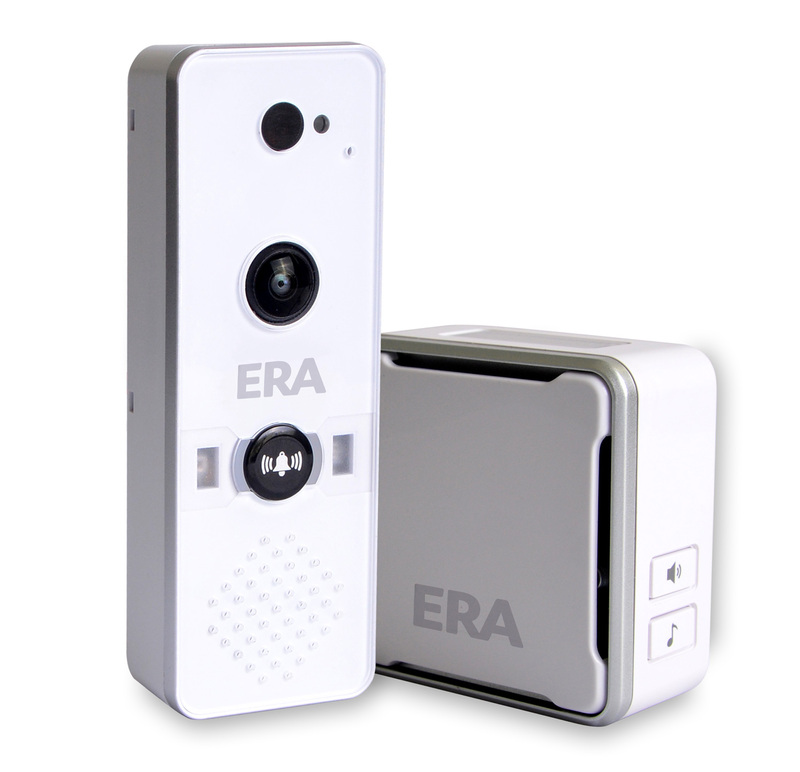 The ERA DoorCam smart video doorbell is easy to install, and can be powered from your existing doorbell wiring or simply plugged in to the nearest wall socket, and it connects to your home WiFi network, using bank-grade data encryption, and with easy set up of the App you’ll be up and running in minutes, enjoying a whole new level of security and convenience whether you are in or out.